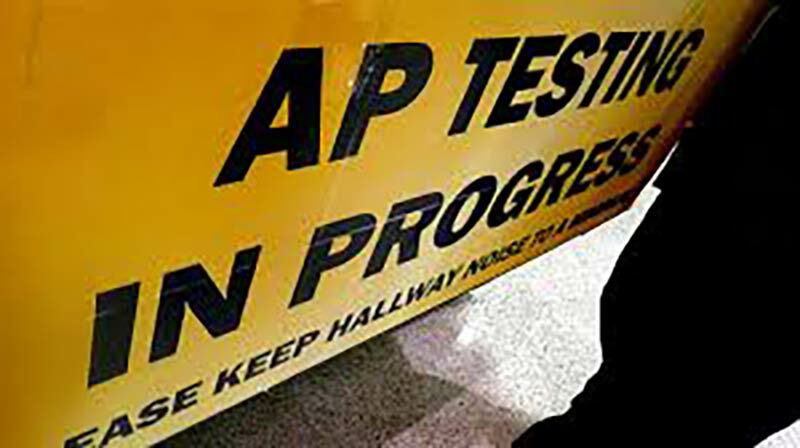 Last year, some 200 students in Millbrae, California were incredibly disappointed to learn that their hard-earned AP scores had been invalidated. The students took their AP exams at Mills High School, and were seated at round tables. Unbeknownst to most of the students (and, perhaps, some of the exam administrators), these round tables would soon become a massive problem. AP exam administration policies demand that students be seated a certain distance away from one another and that students not face each other, a policy which cannot possibly be met in a room with round tables. The seating discrepancy was reported anonymously to Educational Testing Service (ETS) and some 600 test scores for about 200 students were invalidated. So what happened to those unfortunate Millbrae students? The College Board offered to allow the students to retake the exams at no extra charge. In August. A full 3 months after the students originally sat for their AP exams. The problem with this solution was twofold. First, the lengthy delay between the original test date and the rescheduled exam put these students at a disadvantage compared to other test takers. Imagine spending weeks — if not months — preparing for your AP exams only to be told weeks after the exam that you’ll have to do it all over again. Second, many of these students were graduated seniors heading off to college, which meant that many affected students would either receive their new scores too late to submit them to their chosen colleges or would be unable to take the rescheduled exam at all because they would already be on a college campus. Needless to say, you don’t want such a situation to happen to you. It’s important to know your rights and responsibilities when taking AP exams so that you can avoid any unpleasant surprises later on. Exams must be administered at the correct date and time. Proctors may delay the exam administration by no more than one hour, and an exam may never begin early. You may not look at the exam materials before you are told to. You may not remove ANY exam materials — including your own notes — from the testing room. You may not consult any resources during your breaks. No textbooks, notes, teachers, other students, or ANYTHING else that might possibly have information pertaining to the exam. You also may not leave the building during a break. [Testing irregularities] include, but are not limited to, administrative errors (e.g., improper timing, improper seating, improper proctoring, defective materials, defective equipment or the failure of test administration personnel of the school to comply with test administration policies or procedures) and disruptions of exam administrations…The College Board is solely responsible for determining whether testing irregularities have occurred, and its decisions are final. When testing irregularities occur, the College Board may decline to score the exams of one or more students, and it may cancel the scores of one or more students when it determines that such actions are required to protect the integrity of the exam. The College Board may do so whether or not the affected students caused the testing irregularities, benefited from them or engaged in misconduct. This is the policy that tripped up those unfortunate Millbrae students. It’s important to note that the College Board essentially has complete control over your AP exam scores; even students who did nothing wrong and gained no advantage during the exam can suffer the consequences of someone else’s mistake. First, you can familiarize yourself with the administration instructions that your proctor is supposed to follow. You can find them on the College Board’s website here. If you are at all worried that a policy isn’t being followed, you may refuse to take the exam and contact the Office of Testing Integrity to arrange to take an alternate exam. This isn’t a perfect solution, but it may save you from the kinds of delays those Millbrae students experienced. What Is The PSAT And Why Should Your Child Take It? College Textbooks Cost WHAT?